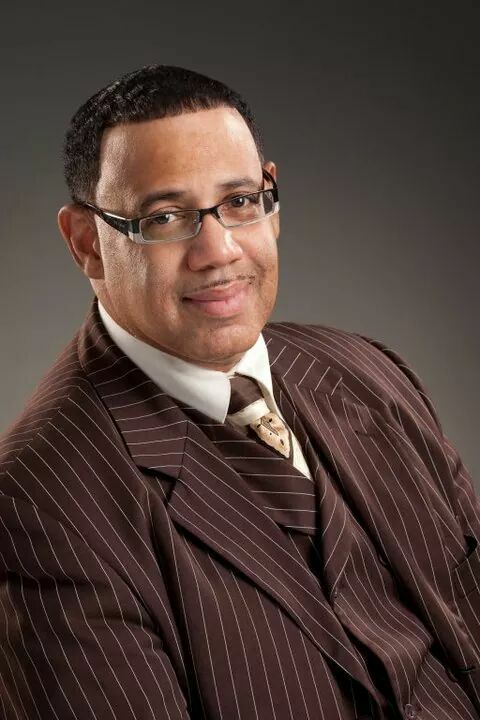 Bishop Roger J. Hairston, Sr. The Bible writes ”A man’s gift maketh room for him and bringeth him before great men.” Proverbs 18:16 and further states “Render therefore to all their dues: tribute to whom tribute is due; custom to whom custom; fear to whom fear; honour to whom honour.” Romans 13:7. Appreciating the gifts and calling of Bishop Roger J. Hairston Sr. is both fitting and proper. Bishop Hairston has inspired many hearts with his music and won untold numbers of souls to Christ through dynamic preaching. Bishop Hairston’s musical career began in 1967 at the tender age of 13 assisting his mother, Mrs. Henrietta Hairston while directing the youth and young adult choirs at Rose Chapel Missionary Baptist Church in Cincinnati, Ohio. At an early age, the anointing of God’s Holy Spirit rested on him and all who observed were blessed to have fellowship with Roger or witness his ministry unto the Lord. In 1970, his older brother, Superintendent Elder Richard L. Hairston prophetically witnessed his young brother’s calling and was moved by The Spirit to anoint Roger’s hands. Roger was chosen to play the piano and organ to drive out evil spirits from the opposed and usher people to worship God in sincerity and truth. Soon after being anointed and without formal lessons he began to play more skillfully. Another concerned observer, friend, and fellow musician John Anthony Johnson was instrumental involved with enriching Roger’s gift. Proceeding to the year 1971 through 1974 Roger directed Columbus East High School’s Gospel Choir. Roger made such an impact that upon graduation, Roger was made a teacher’s aide and continued with the school choir. Students who were members of the gospel choir received a half academic credit. During Roger’s tenure, they were fortunate and blessed to record one album together. As Bishop began to bloom into an accomplished musician and choir director, he began playing and directing for the unforgettable Angelic Choir of Union Grove Baptist Church. He continued with the Angelic Choir for 22 years and produced Something about God’s Grace. Naturally, Bishop Hairston built lifelong friendships and mentored members of the group for years to come. Under his leadership, they were privileged to perform in concert at the historic Ebenezer Baptist Church (Atlanta, Georgia). The concert took place one year after Dr. Martin Luther King’s mother was killed by assassination while playing for the service. It was noteworthy that Bishop played the same organ during the concert. In 1975, at the time Elder Roger Hairston began pastoring Prince of Peace COGIC where he served in dual capacity, Minister of Music and Pastor. Since his youth, he has always been a high energetic person and handling both responsibilities seemed easy. With the Lord’s guidance, Temple of Faith Church along with Voices of Deliverance Choir was established in 1977. To date, Voices have recorded two musical recordings Brightside (2003) and Temple of Faith Live (2013), with a third project soon to come. Adding to Bishop’s resume, he has served as Minister of Music for the Columbus Chapter of the Gospel Music Workshop of American and had two songs recorded for GWMA “All is Well” and “He Brought Me”. He also served as the National Minister of Music for the Church of The Living God for 20 years, completing one album “Jesus I’ll Never Forget”. Also serving in leadership capacity, Bishop Hairston served as National Minister of Music for The United Covenant Church of Christ. These achievements are to him but notes played on a keyboard or sung with vocal cords but the highlight of it all is the many souls saved and the glory reflected back to God through using his gift. We celebrate one of God’s great miracles: a preacher of righteousness, a mentor to souls seeking the way to God, and truly an anointed psalmist.